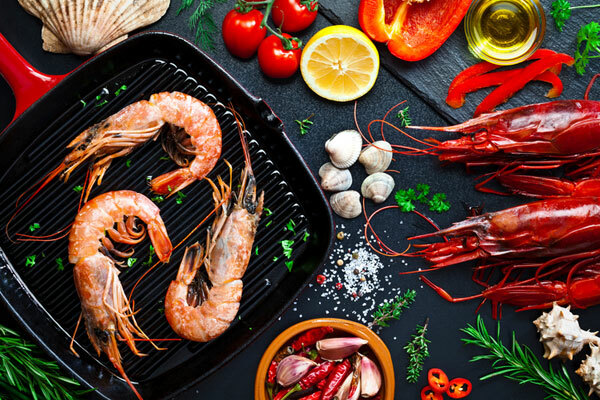 Located right next to the Island View Casino Resort, Beach Blvd Steamer is your go-to restaurant for all things seafood. Their signature dish is the Royal Red Shrimp, a steamed dish using one of the rarest shrimp in the world. The weekly Crabby Sunday Special is a whole pound of West Coast Dungeness crab clusters. This popular restaurant also serves up steaks and chicken grilled over pecan wood. End every meal with delicious homemade desserts such as key lime pie, Southern pecan pie, and strawberry tall cake. The Beach Blvd Steamer is open from Wednesdays to Sundays from 5:00 p.m. to 10:00 p.m. If you’re craving for succulent oysters, head to the Half Shell Oyster House. Opened in Downtown Gulfport in 2009, the restaurant has expanded and branched out to nine more restaurants around the nearby Southern states. Take your pick of the many ways to eat your oysters – charbroiled, baked, Rockefeller, Bienville, or on the half shell. Not in the mood for oysters? The Half Shell Oyster House also serves other delicious seafood dishes such as seafood-stuffed portabella, shrimp and grits, and bacon- and pecan-crusted redfish. The Half Shell Oyster House is open Sunday to Thursday from 11:00 a.m. to 10:00 p.m. On Friday and Saturday, the restaurant closes an hour later. You can also get Sunday brunch from 11:00 a.m. to 2:00 p.m. The Shrimp Basket Gulfport is a chain of casual, family-friendly seafood restaurants that started in Alabama. Their prime location along Highway 49 is the perfect spot for families going in and out of Gulfport. The restaurant serves delicious seafood platters, hand-battered shrimp and fish baskets, and fried shrimp po’ boys. Don’t forget to try their fettuccini pasta covered in their signature roasted red pepper bama sauce as well. The Shrimp Basket Gulfport is open every day from 11:00 a.m. to 10:00 p.m. Known for their Southern hospitality and home-style cooking, the White Cap Restaurant offers the finest seafood dishes in the area. Seafood gumbo, Jumbo fried shrimp, grilled oysters, and po’ boys are just some of the delectable items on the menu. The seafood platters of White Cap Restaurant are also praised for being one of the best in the Mississippi area. The White Cap Restaurant is open daily except Monday and Tuesday, from 11:30 a.m. to 9:00 p.m.
For the past 40 years, Lil’ Ray’s Restaurant has been serving the freshest seafood in the south. This family-owned eatery is known for their grilled seafood platters, signature shrimp po boys, and homemade tuna dip. Even the French bread used for their po boys are newly baked – delivered fresh from New Orleans every day! Lil’ Ray’s Restaurant is open every Monday from 11:00 a.m. to 3:00 p.m. and Tuesdays through Saturdays from 11:00 a.m. to 8:30 p.m. If you would like to make Gulfport your home, check out the most in-demand real estate properties in the area by browsing the site. For other inquiries on the real estate homes for sale in the Gulfport, call Owen & Co. LLC at (228) 822-9870 or send an email to Info(at)OwenAndCo(dotted)com.